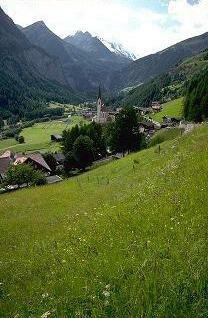 Welcome to Travel Guide 2 Austria, the site about travel, tourism and vacations in Austria. The Republic of Austria (German: Republik Österreich), is a landlocked country in central Europe. The country has borders with the Czech Republic, Germany, Hungary, Italy, Liechstein, Slovakia, Slovenia and Switzerland. 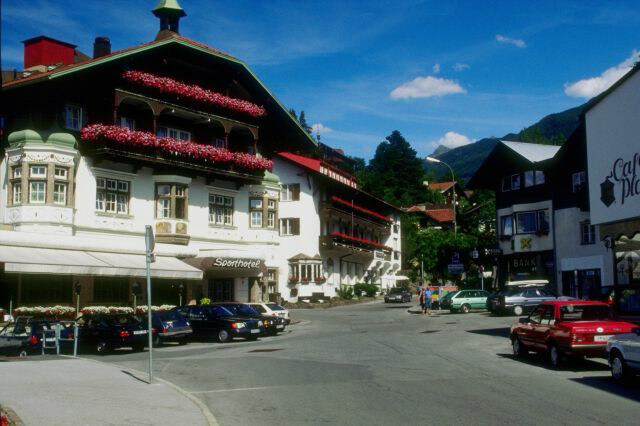 Austria is largely mountaineous due to its location in the Alps; less than a third of the country is below 500 meters (1,640 feet) in elevation, and only a quarter of the country's land area could be considered low lying. The Central Eastern Alps, the Northern Limestone Alps and the Southern Limestone Alps are all partly in Austria, and all together, the Austrian alps account for 62% of the land area of the country. Additionally, another a mountaineous area known, as the Austrian granite plateau lies in the North of the country. The main river of Austria is the Danube River (German: Donau), and the cities of Vienna and Linz both lie on the river. It is the combination of this river and the country's mountains that inspired the country's national anthem of "Land of Mountains, Land on the River" (German: Land der Berge, Land am Strome), which is song to a melody originally composed in 1791 by Wolfgang Amadeus Mozart. Austria's population is around 8.3 million (estimated as of October 2006). Of these, approximately 1.6 million live in the capital city of Vienna, and a further 0.6 million live in Vienna's suburbs. 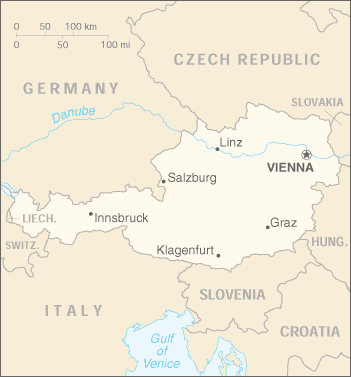 Vienna is the only city in the country with over a million inhabitants, and other cities are much smaller. The second largest city is Graz which has a population of around 250,000, followed by Linz, Salzburg and Innsbruck, all of which have populations in 100,000 to 200,000 range. No other cities have a population of over 100,000. Austria has a well-developed social market economy, similar in structure to that of Germany. The country joined the European Union in 1995, and today has the 4th highest GDP per capita (after Luxembourg, Ireland and Denmark) in the EU. Trade with other European Union countries accounts for around two thirds of Austria's imports and exports, and the country is a member of the eurozone. Austria is particularly known as a popular destination for skiing vacations, but there are many other reasons to visit too. These include the beautiful country, and many sites of cultural and historic interest, especially in the capital city, Vienna.